There are going to be times in life when you need hard copies of stuff. 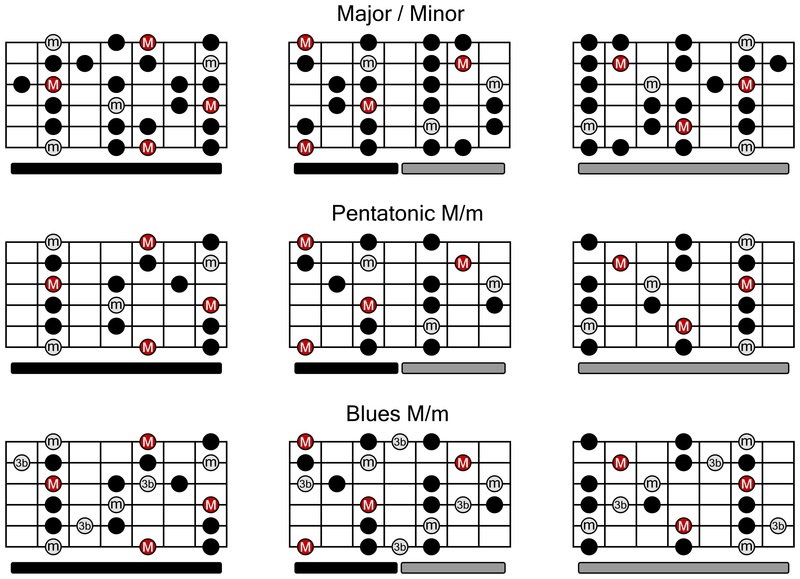 Though there is far less paperwork involved in our day-to-day routines, guitar players will eventually find them selves in a position where they will need printable guitar scales, chord charts, and maybe even song lyrics. Having learned to play guitar in both the pre- and post-Internet world, I have never fully embraced the concept of sitting in front of my computer with a guitar in my lap. Even though I spend an extraordinary amount of time on computers both at work and at home, if I don’t have to be online, I won’t be online; especially when it comes to my guitar practice regimen. Lately, I’ve been wandering into somewhat unfamiliar territory: old jazz standards. Prior to this, I spent a year writing material on guitar in Open G tuning for a rock-based project. Once I switched back to Standard tuning and plunked along to some jazz cuts, it didn’t take long to realize that my muscle memory for playing scales had been severely neglected. Because my home office computer doubles as my stereo system, I find it impractical to wrangle both the sound and sample chord charts that I will inevitably need to play along. Aside from that, I like to be on my feet when I play, and a much prefer reading music from a stand as opposed to from a screen. 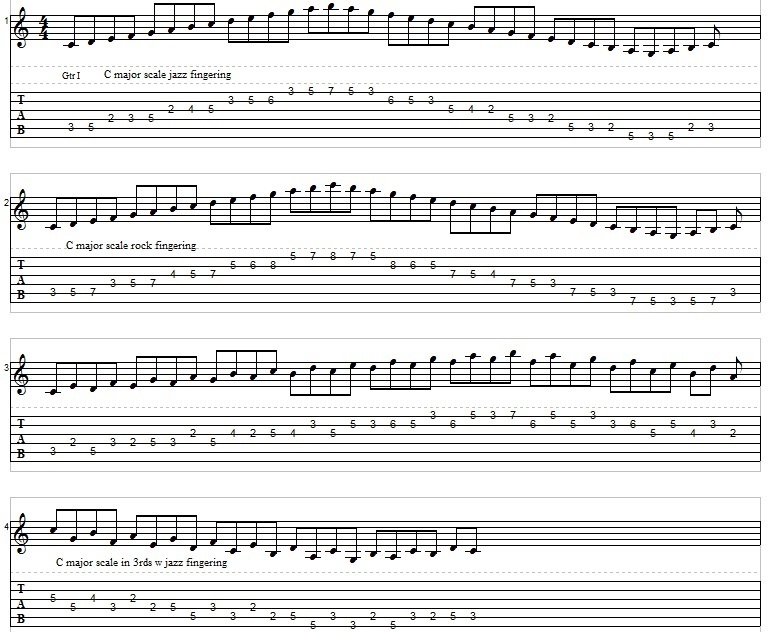 So, as you can see, there is a bit of a difference between printable guitar scales.